It was time to kick it! 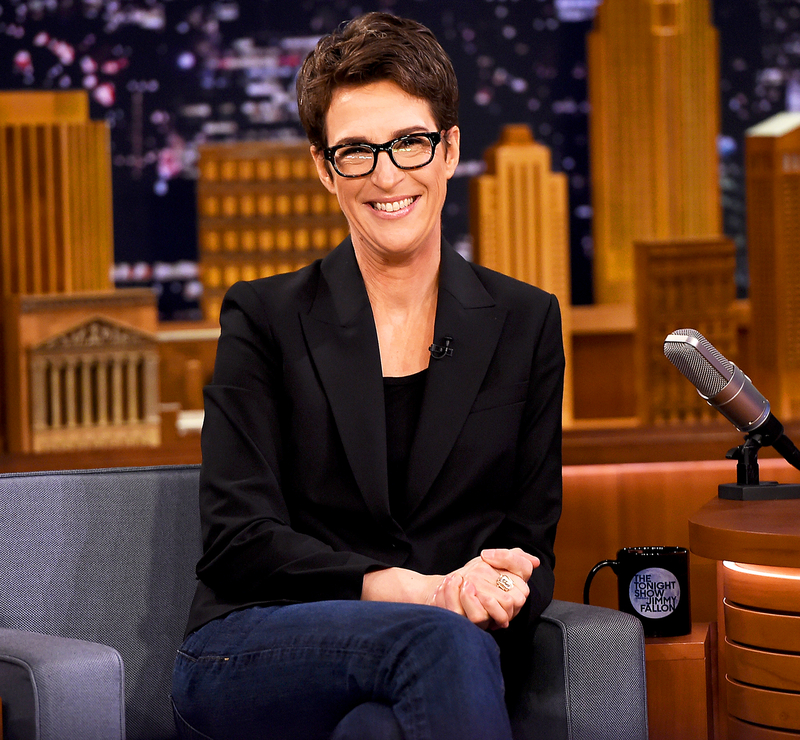 Rachel Maddow revealed in a new interview how she celebrated getting President Donald Trump’s 2005 tax return during a Wednesday, March 15, appearance on The Tonight Show. See what she had to say in the video above. “I got home last night, and [my longtime partner] Susan [Mikula] bought me new sneakers,” Maddow, 43, told host Jimmy Fallon, showing off her brand-new Stan Smith Adidas shoes. As previously reported, Maddow took to Twitter on Tuesday, March 14, to let her followers know that she would be revealing Trump’s 2005 federal tax return on The Rachel Maddow Show. Trump has previously refused to release his returns and argued that his taxes are not of interest to the American people. “You know, the only one that cares about my tax returns are the reporters,” he said during a news conference following his November 2016 victory over his Democratic opponent, Hillary Clinton.